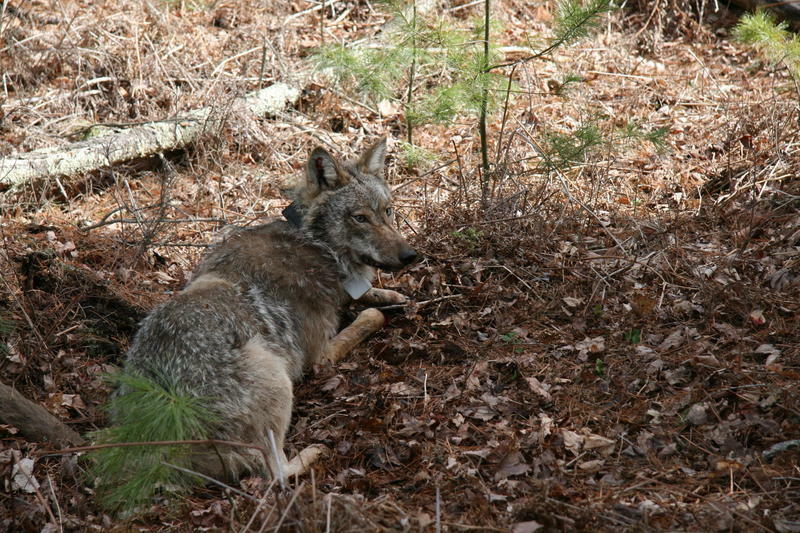 Wildlife specialists will soon be in the woods in Michigan's Upper Peninsula, tracking wolves. The Department of Natural Resources last conducted a wolf census in 2016, when it estimated more than 600 wolves prowled in the U.P. The DNR's Kevin Swanson says they don't know what to expect. But he says conditions may be right for an increase in the wolf population. "We have a lot more deer on the landscape now," says Swanson. But Swanson says there are other factors, like canine distemper, that could negatively affect the wolf population. Stateside's conversation with researcher Tyler Petroelje. Michigan has held one wolf hunt. 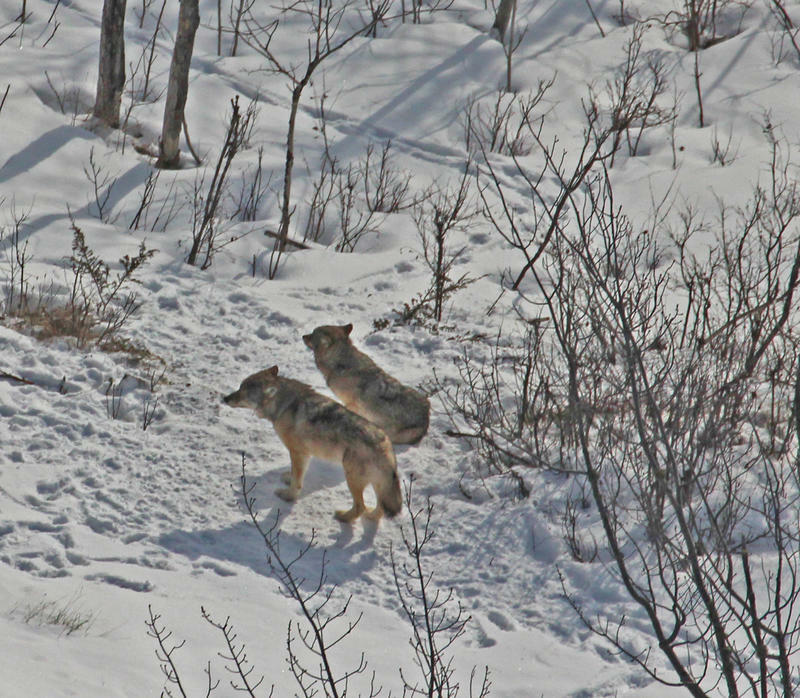 That was in 2013, when 22 wolves were killed in the Upper Peninsula. The next year, a federal judge put wolves back on the endangered species list. Since then, lawmakers from Michigan, as well as Minnesota and Wisconsin, have tried to tack on riders to various bills in Congress that would "de-list" the wolves. These moves are backed by farmers who say wolves are preying on their livestock. But now, a new study indicates those farmers may be contributing to that predation problem. How? By not burying their dead cows. A federal appeals court is keeping gray wolves in the western Great Lakes region on the endangered species list. A panel of the U.S. Circuit Court of Appeals in Washington, D.C. on Tuesday upheld a district judge's 2014 ruling that the U.S. 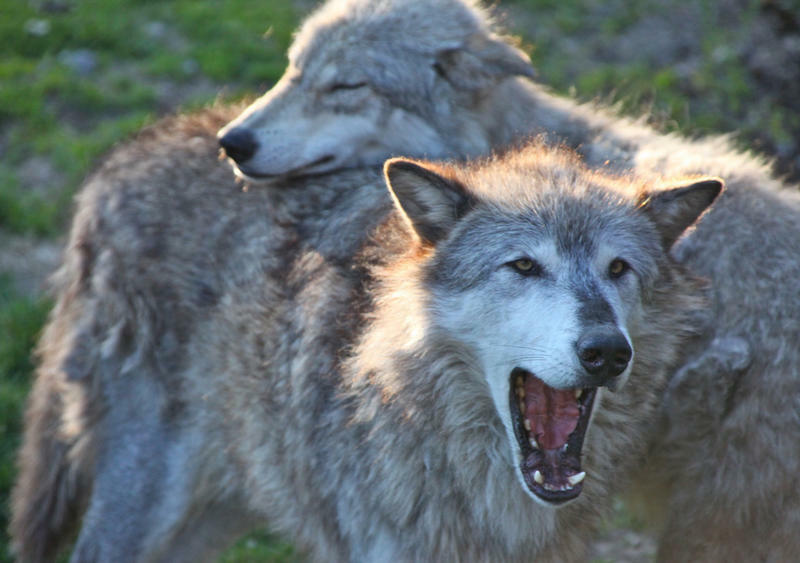 Fish and Wildlife Service had acted prematurely by removing federal protections from wolves in Michigan, Minnesota, and Wisconsin. There are still just 2 wolves left on Isle Royale. And 1,600 moose. This year’s Winter Study of the wolves and moose of Isle Royale found that there are still just two wolves hanging out on the island. Don’t grab your rifle just yet. Wolves are still on the federal endangered species list, so the law won’t take effect until they’re removed. A 2014 state law allowing wolf hunting was recently struck down by the Michigan Court of Appeals on a technicality. And at the polls, voters have said “no” to similar legislation multiple times. Jill Fritz is the director of Keep Michigan Wolves Protected. “We’re appalled at the open contempt for Michigan voters that Governor Snyder demonstrated by signing this third wolf hunting bill into law,” Fritz says. The National Park Service is considering bringing more wolves to Isle Royale to save the declining population on Michigan's only national park. The new report details the expected environmental impact of several plans that could bring more wolves to the island. 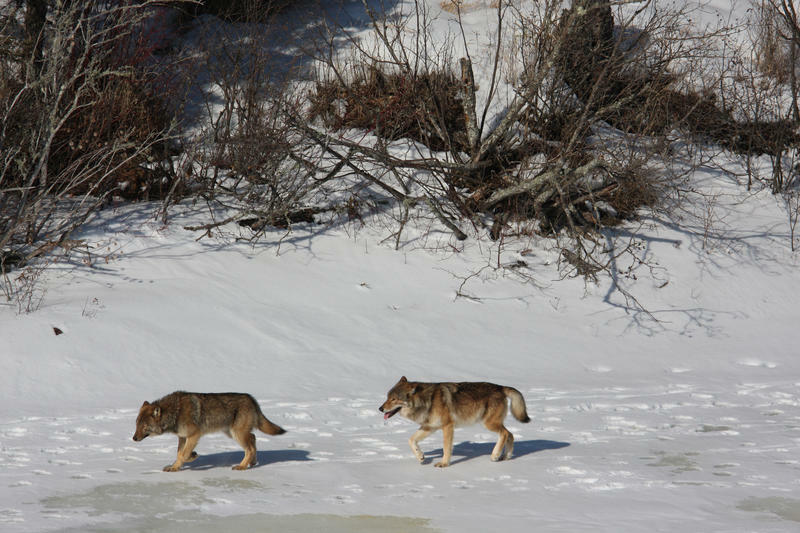 The last winter study on the island's wolf population estimates only two wolves remain. 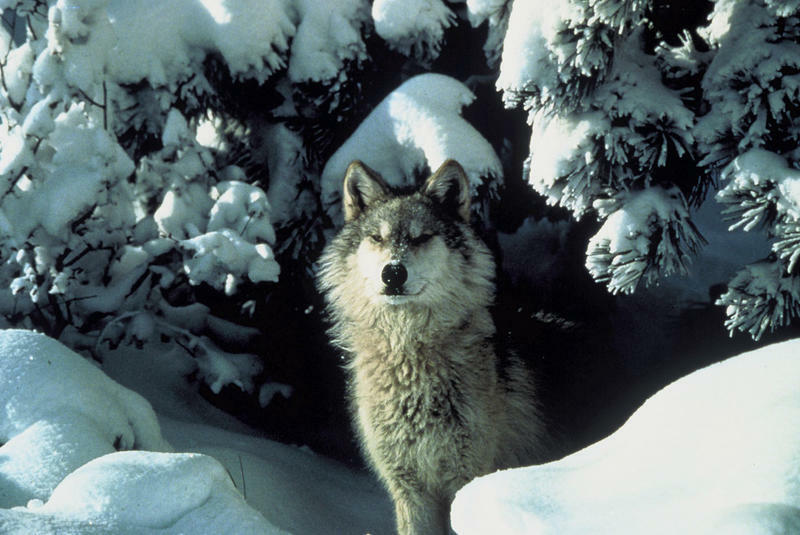 The Park Service’s report lists a “preferred alternative” of importing 20 to 30 wolves to the island, along with three other alternative management plans. The National Park Service is taking a closer look at whether or not to bring more grey wolves to Isle Royale National Park. Only two wolves remain on the island now. To help make its decision, the park service wants to hear from you. It’s accepting public comments on the question right now. At one point, there were as many as 50 wolves on Isle Royale. 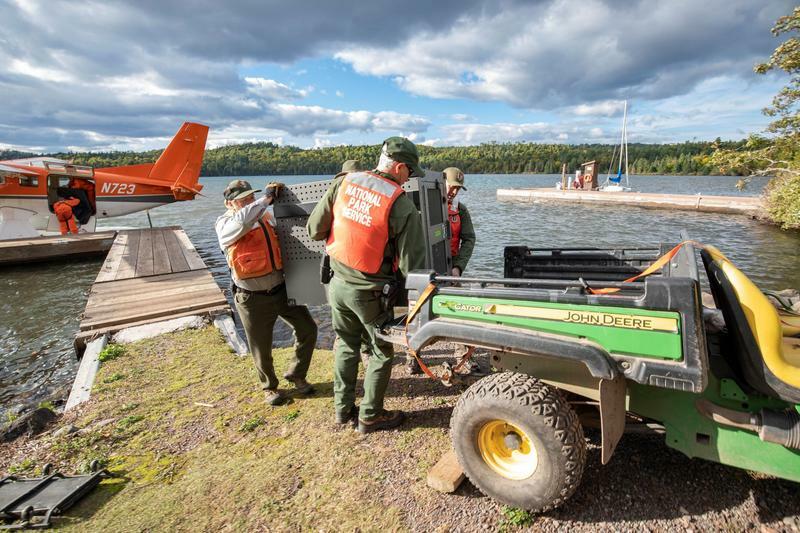 But Phyllis Green, Superintendent of the Isle Royale National Park, says that number was abnormal. 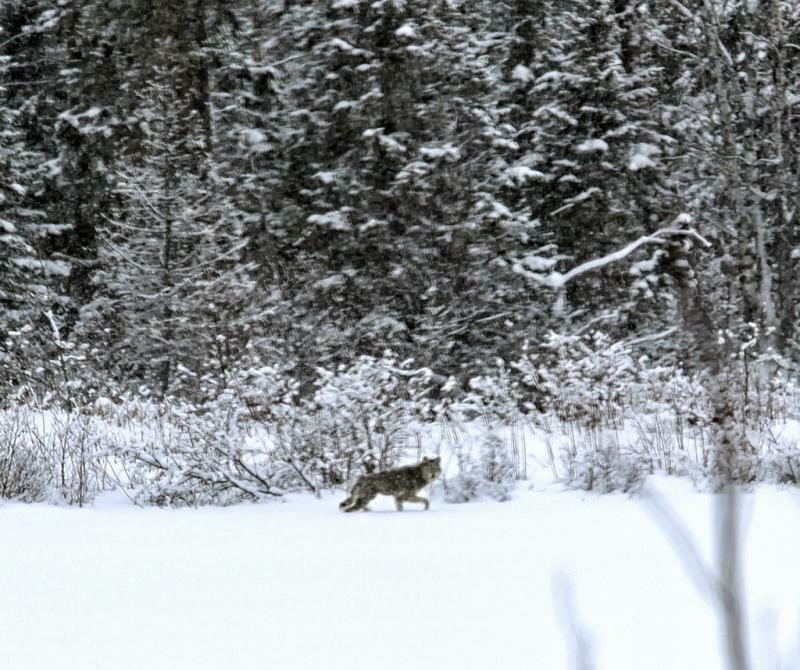 The presence of a gray wolf in Michigan's lower peninsula was confirmed this week. 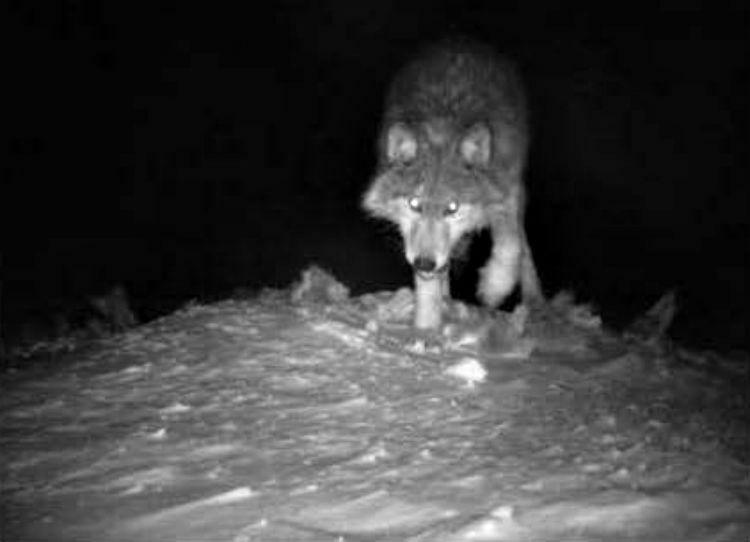 In the winter of 2014, a motion-activated wildlife camera on the reservation of the Little Traverse Bay Bands of Odawa Indians captured several shots of what appeared to be a wolf. 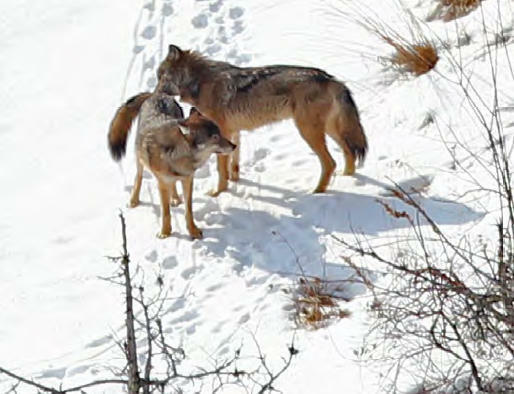 Michigan wildlife officials cheered the decision, even though it denies them a measure of flexibility to manage wolves in the western Upper Peninsula. 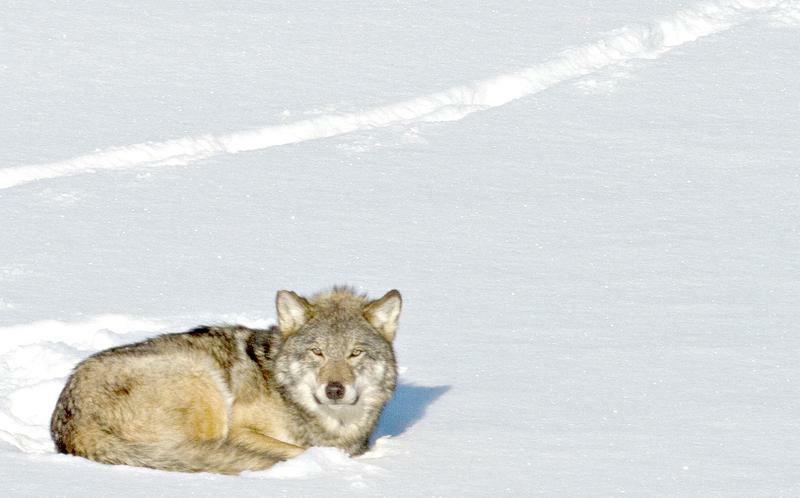 The wolf population on Isle Royale has been dropping for some time. There were nine animals last year. 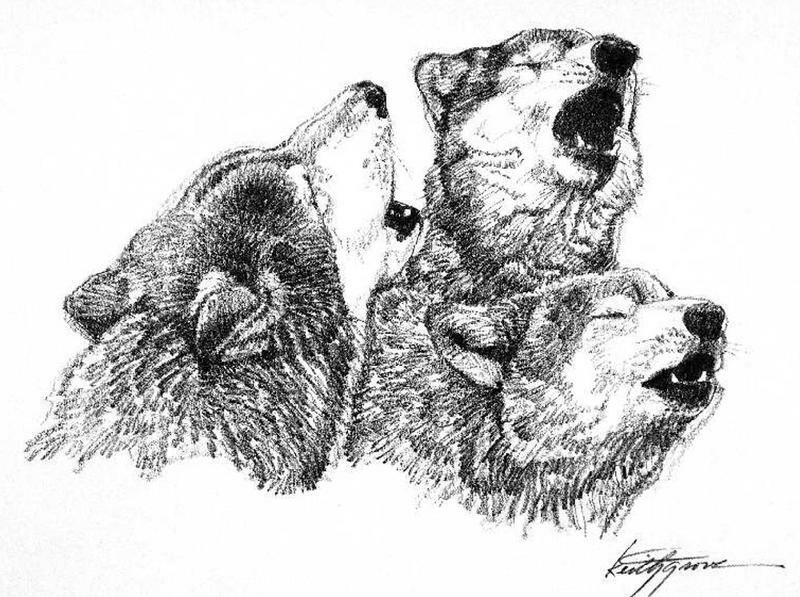 In their latest winter study report, researchers on Isle Royale only spotted the three wolves pictured above on the entire island. TRAVERSE CITY, Mich. - Michigan is joining the federal government in appealing a decision that restores legal protections for gray wolves in the western Great Lakes region. Federal Judge Beryl Howell ruled in December that the U.S. 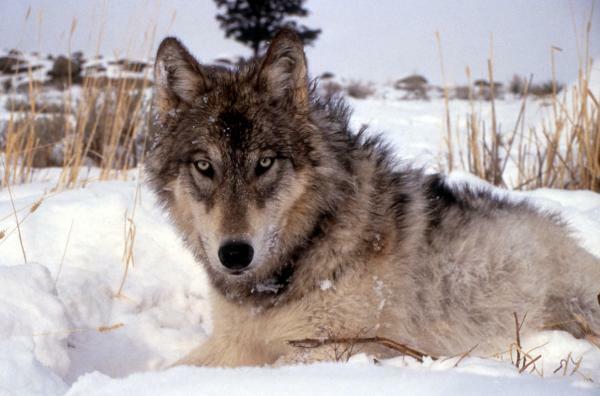 Fish and Wildlife Service erred by dropping the region's wolf population from the list of endangered and threatened species in 2012. GRAND RAPIDS, Mich. (AP) - Wolf attacks in Michigan's Upper Peninsula killed at least 26 cattle and 17 hunting dogs last year. 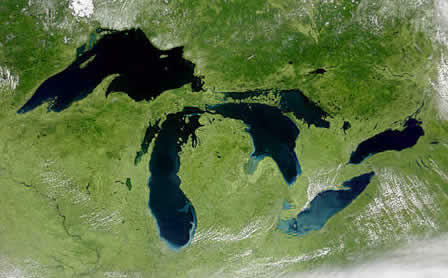 MLive.com says the numbers come from the Department of Natural Resources, through Dec. 22. The number of attacks, 35, was higher than the 20 reported in 2013. 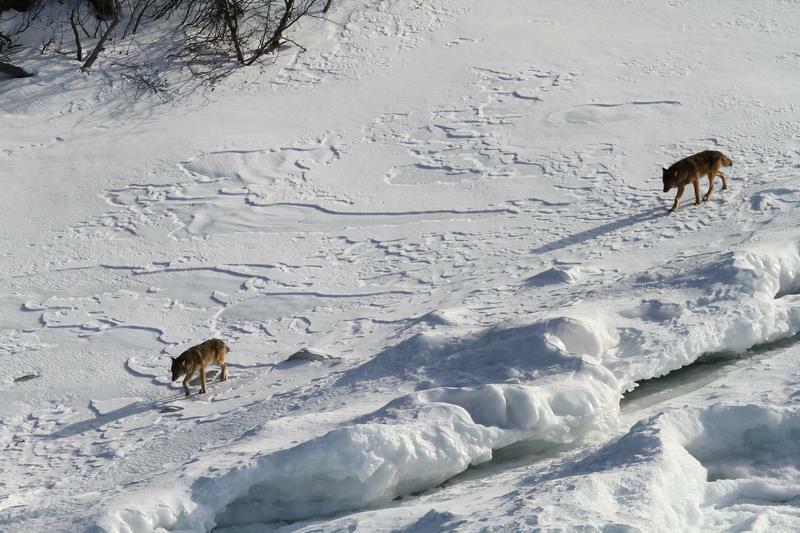 The winter study of the wolves and moose on Isle Royale is heading into its 57th year. The wolf-moose study is the longest continuous study of any predator and its prey in the world. Scientists Rolf Peterson and John Vucetich spend seven weeks on the island in the middle of winter every year. They'll be heading back out in a few weeks. This Week in Michigan Politics, Emily Fox and Jack Lessenberry discuss what could happen to the state Legislature after the election, possible surprises in congressional races and the wolf hunting proposal votes which may not matter. People for and against a wolf hunt in Michigan are at the state Capitol today. Orange-wearing hunters are mixing with people waving signs calling for protecting Michigan’s wolves. The state House is poised to vote on the Scientific Fish and Wildlife Conservation Act. The act would open the door once again to wolf hunting. The state Senate has already voted in favor of the act. Michigan hunters could find wolves in their crosshairs again later this year, if the state House approves legislation on Wednesday. 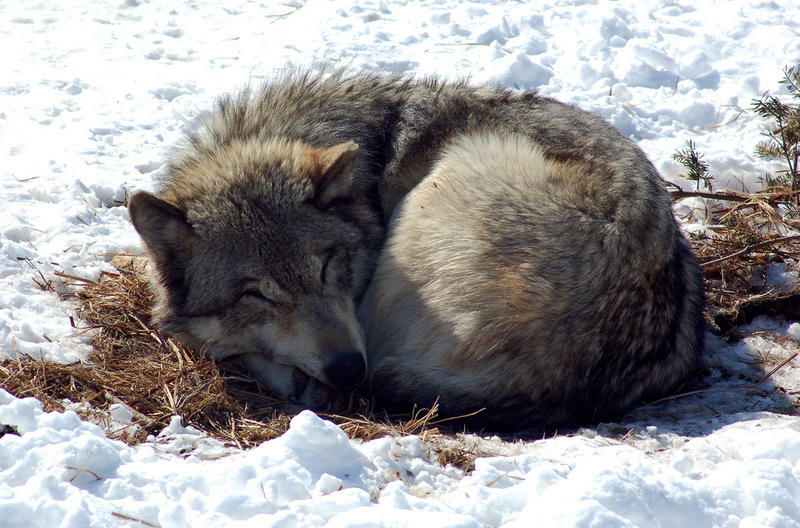 Last year, hunters killed 22 wolves in a state-sanctioned hunt in the Upper Peninsula. Plans for another wolf hunt this fall were shelved after opponents collected enough signatures to put the issue on the November ballot. They did so again when state lawmakers passed another law to authorize a wolf hunt. The state Senate is back in Lansing tomorrow for one day before resuming its summer recess. It appears likely the Senate will vote on petition-initiated legislation to allow wolf hunting in Michigan, and give a state commission direct control over decisions on which species may be hunted. The state House is expected to follow suit later this month. The initiative is meant to circumvent two referenda on wolf-hunting laws adopted by the Legislature. The State Senate may vote this week on a proposal that could once again open the door to wolf hunting in Michigan. Hunting groups collected enough petition signatures on a proposed law giving state wildlife officials total control on which animals will be hunted in Michigan. Drew YoungeDyke is with Michigan United Conservation Clubs. 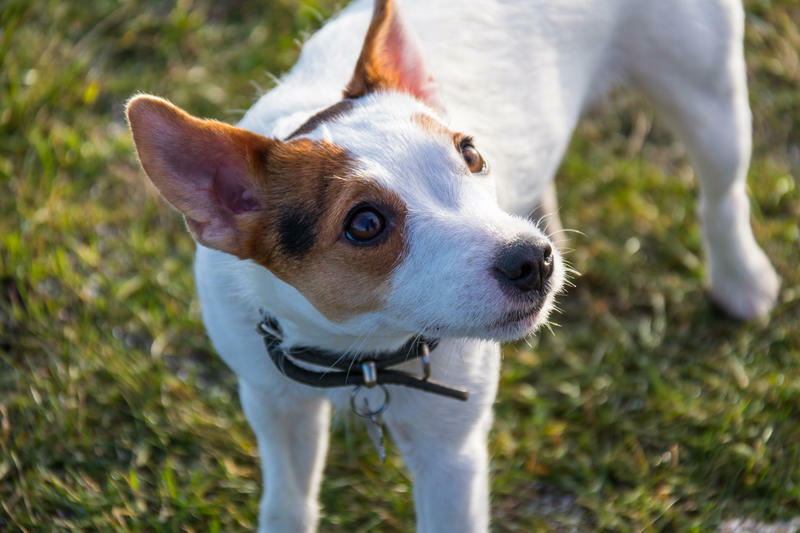 He insists the hunting groups are not trying to outflank groups opposed to hunting wolves in Michigan. A petition that would allow future wolf hunts in the Upper Peninsula is headed to the state Legislature. The initiative would allow the hunts regardless of how two anti-wolf hunting referendums turn out. A state elections board approved almost 300,000 petition signatures for the proposal today. State lawmakers have 40 days to pass the measure. Otherwise, it will go on the statewide ballot in November. Bob LaBrant is with the group that gathered the signatures. He says it’s clear the Legislature supports wolf hunting and will approve the measure. The petition could still be challenged in court. Opponents of wolf hunting say it deals with too many issues unrelated to wolf hunting.